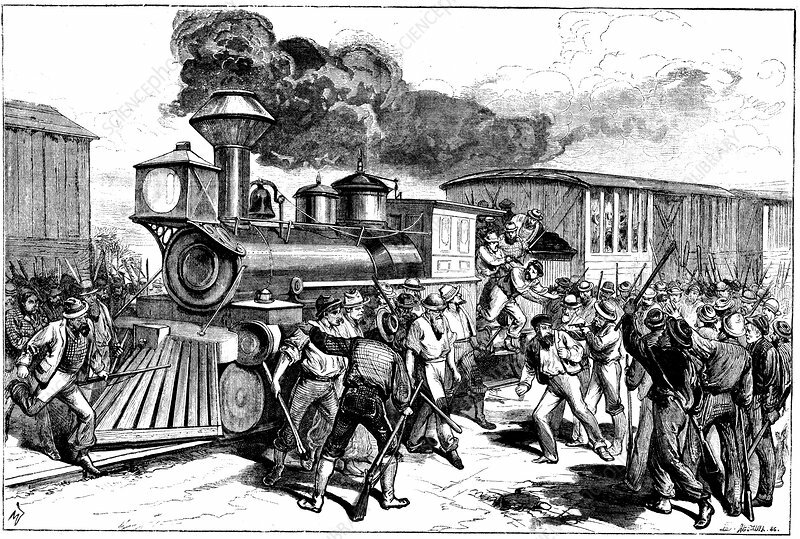 Riot by railway workers at Martinsbury on the Baltimore and Ohio Railroad, August, 1877. Workers went on strike when the Company cut their wages. Wood engraving.